Product prices and availability are accurate as of 2019-04-18 08:26:29 EDT and are subject to change. Any price and availability information displayed on http://www.amazon.com/ at the time of purchase will apply to the purchase of this product. 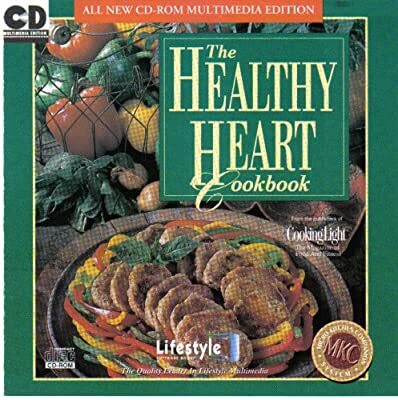 Planning for a Healthy Heart: This category will help you take control of your health by adopting a healthier eating style. Complete you Personal Health Profile, then click on the text for detailed information about what measures can be taken if you are in a high risk group such as high blood pressure, high blood cholesterol levels or stress. Eating Right for a Healthy Heart: This category includes healthful information that will help you shop smarter; Ingredients, Food Labels, Healthy Substitutions, Calorie/Nutrient Chart, Cooking Techniques, Cooking Equipment Healthy Heart Menus: These sections include preplanned menus for Breakfast, Brunches, Summer Suppers, Holiday Entertaining and Ethnic Favorites Recipe Selector: You can search for recipes by photo or your own dietary needs With the 7 Day Menu Plans: You can use a preplanned diet low in calories, fat and cholesterol for the whole week - complete with nutrition analysis.